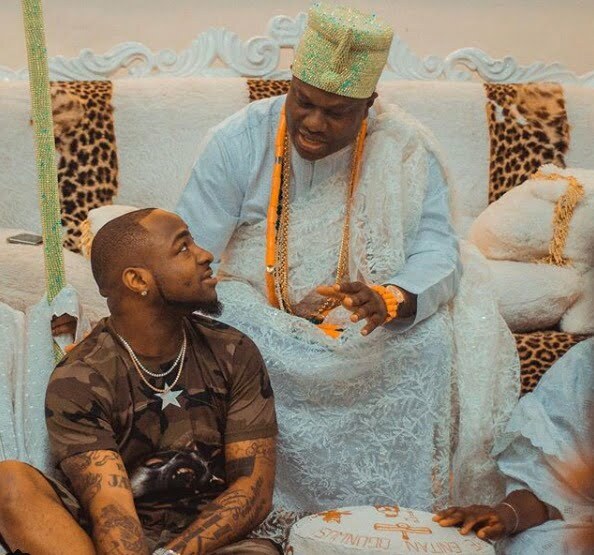 Popular music artiste Davido, on Sunday paid a courtsey visit to the Ooni of Ife, Oba Adeyeye Ogunwusi. 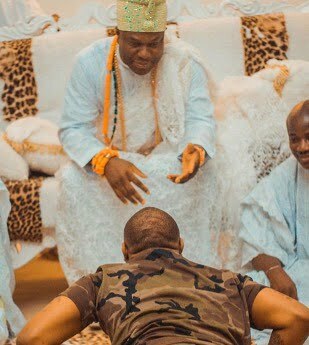 Davido who hails from Osun state behaved like a true son of the soil as he was seen postrating to pay homage to the King. He was in Osun state to headline his concert, ‘Son Of the Soil’. The singer arrived the state on Sunday and made it straight to pay homage to the Oni Of Ife, Oba Adeyeye Enitan Ogunwusi at his Palace before heading for his concert ground. The owner of record label Davido Music Worldwide ‘DMW’ recently won Best International Act award at the 2018 BET Awards.